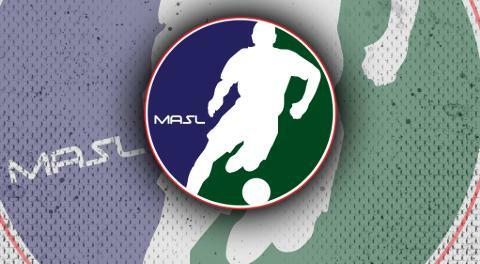 Baltimore, MD (April 6, 2019) – The Blast recorded their seventeenth victory of the season versus the Florida Tropics by a score of 4-2. Sylla Salifou scored in his second consecutive game, as he collected the rebound off of the Tropics goalkeeper to put the Blast up 1-0. Mike Zierhoffer made his second start of the season in goal and looked sharp throughout the first quarter with several saves. The Blast controlled most of the possession throughout the first quarter, making it difficult for the Tropics to get into an offensive groove. The Blast entered the second quarter with a 1-0 lead. Tiyi Shipalane recorded his first goal of the season moments into the second quarter, as he faked one shot and put another past the goalkeeper to extend the Blast’s lead to 2-0. Ibrahima Keita would add to the Blast’s lead shortly after, as he received a ball from Jonatas Melo and calmly slotted the shot past the Tropics goalkeeper. Caio Ruiz would get the Tropics on the board late in the second quarter, as the Blast entered halftime with a 3-1 lead. The Blast continued to hold possession of the ball and wear down the stout Tropics defense. Both teams had multiple chances to score within the quarter, but could not get their shots past the goalkeepers. The Tropics had their best opportunity of the night careen off the post and off the back of Mike Zierhoffer, but flew over the goalpost. The Blast created several 2v1 opportunities, but the Tropics defense stood firm. The Blast would enter the fourth quarter with a 3-1 lead. Sylla Salifou was given a blue card midway through the fourth quarter that led to a powerplay goal by Ricardo de Queiroz Diegues to cut into the Blast’s lead. Jamie Thomas had the opportunity to immediately put the Blast back up two goals, but the Tropics goalkeeper denied him from close range. Mohamed N’diaye would tally his third goal of the season as he received a pass from Adriano Dos Santos, and tapped the ball past the Tropics goalkeeper. The Tropics substituted their sixth attacker into the game with just under two minutes left in regulation. The Blast were able to hold off the Tropics attack for the final minutes of the game to close out the regular season with a 4-2 victory to improve to 17-7 on the season. Six Blast players totaled one point in the game to lead the team while Caio Ruiz led the Tropics in scoring with two points. Mike Zierhoffer collected his first career Blast victory and made twelve saves in the victory.The Blast begin their quest to their fourth consecutive championship as they face Utica City FC in the divisional round on Saturday April 20th 6:00 p.m. at SECU Arena.